Due to some recent changes after the passing of our dear friend Mark Boscariol, there has been some speculation as to what will happen to Hackforge’s current physical space at 255 Ouellette Ave. Mark Boscariol owned the building that Hackforge resides in, along with the neighbouring buildings that housed the Downtown Pizza Co. and Snack BBQ restaurants. Recently, all three of Mark’s restaurants were closed due to financial insolvency. In the interest of transparency, we want to let you know we are in discussion with the Boscariol family and as of right now, we have access to our space and will continue to run events as normal. In the past week, one event was moved to Craft Heads Brewery and one event was rescheduled due to an issue with our shared alarm system with Downtown Pizza Co. We have since resolved the issue and we will continue to host events at Hackforge. If anything changes, we will let you and/or the host of the event know. Please check our social media channels or website for any announcements. On that note, we have two great events coming up in the next couple of days and we’d love to see you there! After this short talk, we’ll break to mingle and chat. We can discuss React with Randy, get to know each other, and get a feel for topics that would appeal to the community for future talks. If you have talk ideas, bring them up with Randy or Jeff and we can get something on the schedule – we can even help you workshop your talk and get you prepared to deliver it. 🤖 Saturday Workshop: Help Build the VEX Robot! With the help of the Windsor Essex Robotics Club, we’re going to assemble Hackforge’s VEX Robot. The VEX kit is the Classroom and Competition Super Kit. We’re welcoming the community to an introduction to VEX robotics by building their standard claw bot and practicing the basic VEX coding. We hope to have a functioning robot to learn off of so newcomers have the building blocks to be creative so they can further create a robot with custom tasks. A fun Saturday activity for both adults and kids alike who love robots! 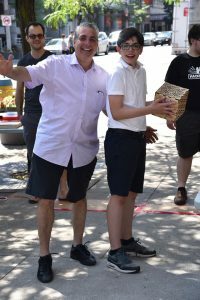 In light of a piece in the Windsor Star which highlighted some members of Hackforge who volunteer time providing tech support for candidates in the municipal election, I think it is important to clarify some ambiguous points. Hackforge does not officially endorse any particular candidate, and does not expect members to be supportive of any particular candidate or slate of candidates. We are a group of largely independent techies who throw our own events and meetups. We use the space for talks and classes and our members are allowed to use what resources we have – however humble – as they please. That means that whether building a startup company or a retro video game meetup, or teaching a workshop on NationBuilder, their use of our space is not restricted to activities endorsed solely by Hackforge leadership or specific leaders. In this case, some of our members used the space to help some municipal representatives they support in some small way. We encourage this. 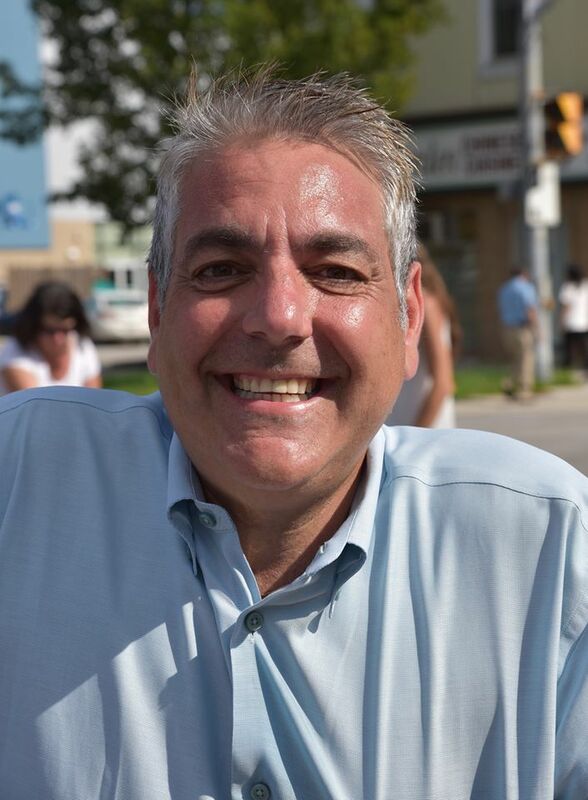 Engagement in municipal politics is incredibly important and can be very rewarding. 1) Hackforge members are absolutely encouraged to get involved in campaigns as volunteers to support any municipal candidate(s) they choose, and are invited to use the space for workshops. 2) Hackforge does not have a mechanism for providing volunteers to run workshops or offer tech support to a political campaign on request. A Hackforge member with the knowledge needed must already be interested in the campaign of their own accord. If you have thoughts or questions you can direct them at me – Jeff Szusz, Vice Chair, jeff@hackf.org. Join us as we learn how to build actions using the Google Assistant. The Google Assistant is the technology that powers devices like the Google Home, and the built in Google Assistant on Android devices. Bring your laptop! Do you make stuff with your hands and like to hangout with those that do too? 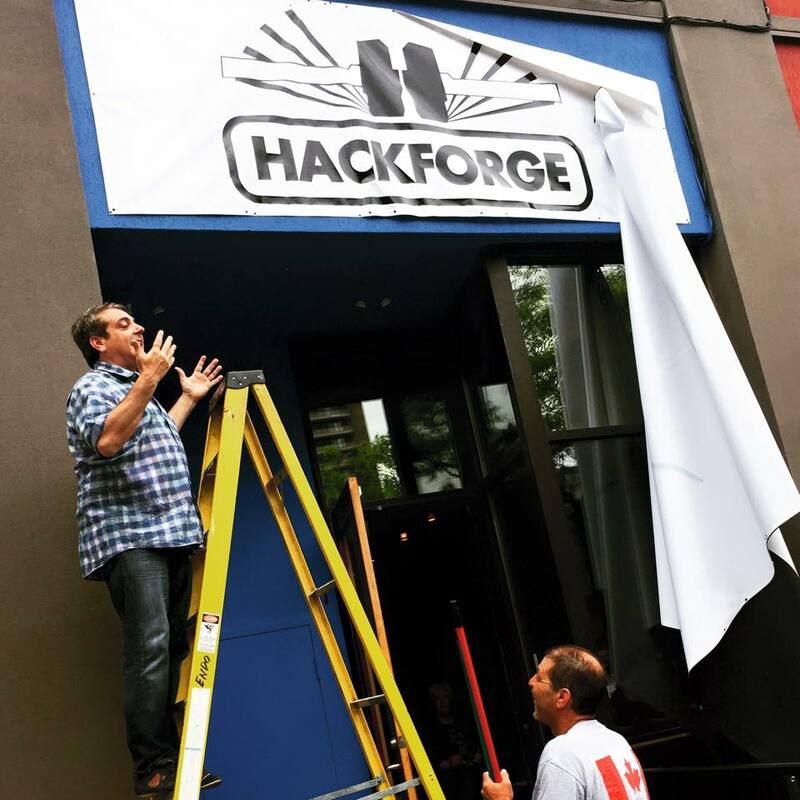 Come out to Hackforge on Thursdays at 7PM to meet with other makers, work on your project, or get inspired. What is a maker? A maker is a person who likes to build and craft things with their hands and minds. It could be with electronics, 3d printers, art or just simply crafting with beads. Join us for some of our favourite board games, or bring your own! Come on in and we’ll get you set up with a game and a group to play with as soon as there’s an opening. This event is open to anyone and the earlier you arrive the quicker you’ll get into a group playing a game. Calling all founders, trailblazers and entrepreneurs! Forge Founders will be a bi-monthly networking experience for local founders to connect, learn, and share. Our first speaker, Darrel Laurendeau, Director of Information Technology for Ground Effects will be leading us with his best practices on creating ways to get your customers excited and engaged in ICT, and tactics to communicate with executives. Light food and refreshments will be served. The Windsor/Essex Community Benefit Coalition is looking to design and develop a website to be a hub for information and activity on community benefits in our region. We do not require a custom construction and would prefer a CMS that enables easy updating and potentially multiple individuals posting updates. Some basic training for the staff person and community contributors would also be helpful. For some inspiration www.communitybenefits.ca is the Toronto version of our coalition. Although our work does not cover the breadth of the Toronto group we will want to have multiple pages where reports and resources can be stored, activities documented and a blog where ongoing updates to the community can be maintained. We have already had a logo designed which can be provided for design purposes and matching. As our group is hoping to quickly ramp up activities we are hoping to have a page up and running by September. We do have funding to support this project but as a community group our resources constrained. Curious about pen and paper roleplaying games? Familiar but want to try something new? Sign up for a one-session collaborative storytelling game. Registration is necessary to ensure yourself a seat, but is open to anyone. Please join us for a Maker Workshop covering Fusion 360. We’ll cover some basic techniques on sketching and some modifications to solids. To participate just bring your laptop with Fusion 360 installed and updated. You can download a free 30-day trial of Fusion 360 here. ☁ AWS Users Group: Summer Fun – Planning our Fall Project! Coming this fall, we are going to be starting a fun project, involving many different areas of AWS! On July 16th, we’ll reveal the project, and show off some of the pieces we’ll be putting together. Everyone will be involved in building a part of the solution, so come on out and find out what’s in store! The Museum Technology User Group (MTUG), co-organized with the South Western Ontario Heritage Council (SWOHC) is a meet-up for arts, culture and heritage sector workers who would like to learn more about technology and its applications in galleries, libraries, archives, museums, and heritage organizations. The group will meet to discuss tools and how to use them, what resources are available and even explore hands-on activities. This month, we’ll be exploring learning how to tell stories with maps! We’ll go over web mapping tools such as Google Fusion Tables and CARTO and have a hands-on activity using History Pin. Software Guild needs a new direction and a new focus. If you want to get involved in deciding the direction our community of programmers takes – the tech we focus on, the types of events we have – join us. Do you worry that your business is not as secure as it could be? Do you need to hire a security consultant and want to know what to ask for? Do you want to be prepared in the event of a security breach? By the end of this workshop, you’ll understand what parts of your business you need to protect, what are the risks and and threats, and how to identify and monitor tools to address these threats. You’ll come away with some steps you can take to make your business more secure. Do you need a more efficient and affordable way to manage your business’s files, calendar, and customers? Do you need flexible tools to collaborate with your team in real-time? Do you want to be able to access your company’s tools and data anywhere, anytime and on any device? This workshop, part of the TechBoost Program, is for owners or employees of small business who want to know what G-Suite is, what tools and products are available and ways you can utilize the best ones to automate and enhance your business processes. Does the idea of setting up your online store seem way too time-consuming? Are you worried you might not set up your online store correctly? Do you want a rundown of how to get your store up and running and how to maximize the features available on Shopify? By the end of this workshop, you’ll have your Shopify account set up and know how to choose a theme, customize your theme, add products and manage shipping. Do you need to create a website for your business, but not sure what platform or service to use? Have you heard about WordPress, or even tried it and feel overwhelmed by what’s involved? Do you have an out-of-date website and want to update it with a fresh and elegant design? This workshop will help you to determine what you want a website to do for your business. It will also explore the options to build it yourself or to engage professionals. Not sure what to be posting on Facebook? Or further… How to create that content? Looking for an easy way to find clients online? By the end of this workshop, participants will have a series of content ideas for their own social media marketing, the tools to create this content and a clear plan on how to utilize Facebook to grow their business and clientele. What’s available for small business and how do I choose?